Florence is one of the most popular destinations in Italy, since it has a large number of tourist attractions and places of great artistic and historical importance. 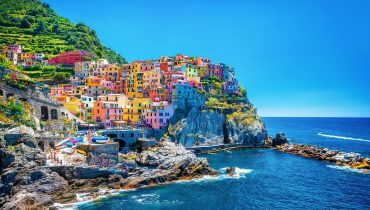 Since it is a famous destinations there are a lot of flights to Florence Italy. It is a city made for walking, so to enjoy it for free, the best thing is to walk its streets and to appreciate its incredible buildings, monuments and beautiful places. The Basilica of Santa Maria del Fiore is the Cathedral (Duomo, in Italian) of the Roman Catholic Archdiocese of Florence. It is remarkable for its dome by Brunelleschi and it is considered one of the masterworks of the Gothic and early Renaissance Italian art. 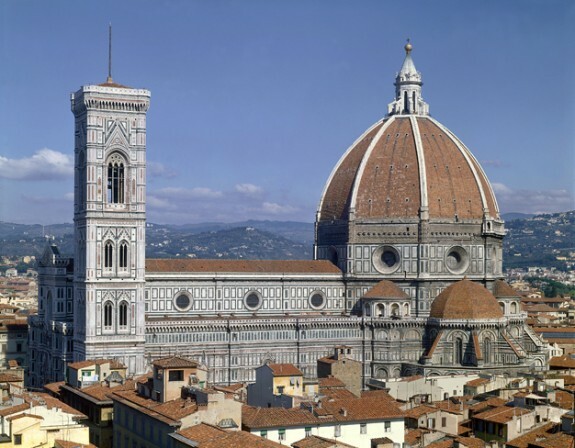 Symbol of the wealth and the power of the Tuscan capital during the thirteenth and fourteenth century, the Florentine Cathedral is one of the largest buildings in Christendom. Its name, which is translated as “Santa Maria of the Flowers” refers to the lily, symbol of Florence, or the ancient name of the town called Fiorenza. But on the other hand, a fifteenth century document states that the “flower” refers to Christ. The Ponte Vecchio (Old Bridge in English) is a medieval bridge over the Arno River in Florence. It is believed that it was originally built as a wooden bridge by the Romans. After being destroyed by a flood in 1333 it was rebuilt, this time entirely of stone, in 1345. Its design is attributed to the Italian painter and architect Taddeo Gaddi. Once there you have to stay more than 2 days to visit the “Ponte Vechio”; it is very easy to find small hostels and cheap hotels in florence Italy.It is the oldest bridge in Europe built entirely of stone, segmented arched closed type. It has always contained different shops and a commercial activity on it (mainly jewelry). According to the legend, in the bridge the people were exempted from taxes and fees. The merchants were formerly allowed to show their merchandise on tables. It is further believed that the term “Bankruptcy” was originated in this bridge because when a seller could not pay his debts, his table was broken by the soldiers (bank+rotto, bankruptcy). Not having a table, the merchants could not sell their goods. During the Second World War, unlike other bridges in Florence, the Ponte Vecchio was not destroyed by the Germans during their withdrawal on August the 4th, 1944. According to the tradition, this was due to a direct order from Hitler. However, their access was blocked because of the destruction of the buildings on both sides of the bridge. 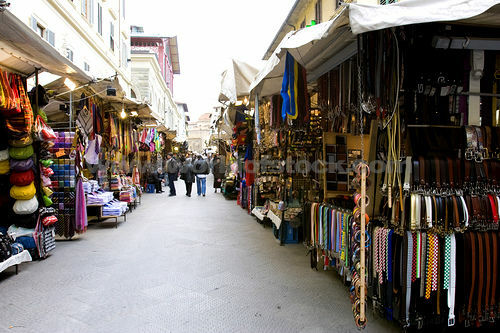 It is the most important market in Florence and one of the favorite places for tourists to purchase souvenirs and products such as food, clothes, hats or bags from old straw. 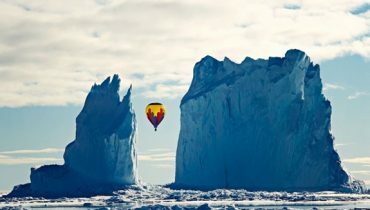 It is also known as the “Straw Market” and it is possible to bargain prices. Piazzale Michelangelo is a famous square with a magnificent view of Florence and also it is a popular tourist destination in the neighborhood of Oltrarno. It was built and designed by the architect Giuseppe Poggi on a hillside in the south of the historic center in 1869. 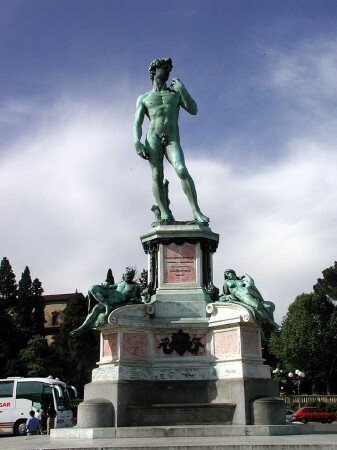 The square is dedicated to the great Renaissance sculptor Michelangelo having copies of some of his works such as “the David” and “the four allegories of the Medici Chapel” of San Lorenzo. These copies are made in bronze, while the originals are in white marble. You can access the square by car along the tree-lined avenue Miguel Ángel, which was built at the same time, or by walking down the stairs that going up the ramps of the monumental Piazza Poggi in the San Nicolas district. This Catholic basilica is the largest Franciscan church in the world. 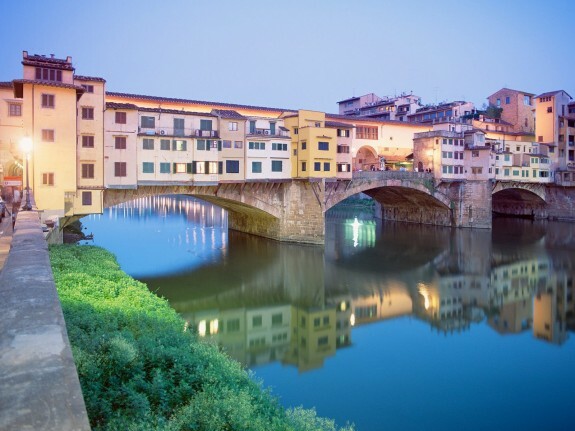 Since its origin, the history of Santa Cruz is closely linked to the history of Florence. 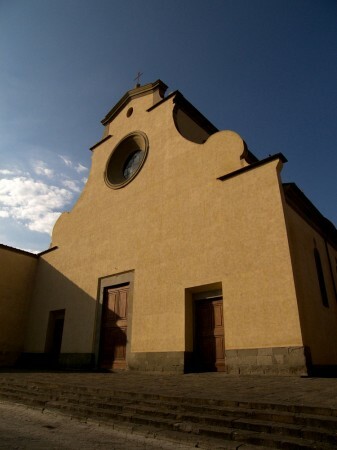 During the seventh century since it was founded, the basilica underwent several renovations and modernization projects acquiring it as new, therefore, some new symbolic connotations: Since its origins as a Franciscan church, it became a religious “municipality” for the major families and the Medicean Florence corporations; or from being a laboratory and an art studio it changed into a theological center; from a pantheon of the Italian glories it became a reference place in the political history of the pre-and post-unit Italy in the nineteenth century. One curious detail is that in this church are the tombs of Miguel Angel and Galileo Galiei. The basilica of Santo Spirito was designed in 1434 by Filippo Brunelleschi in its last artistic stage, but it was not built until 1444. The front door is not decorated and it is here where were provided the main ideas of Brunelleschi. This building represents a proposal even more modern than the one of San Lorenzo; it is more streamlined, by using a normalization of the architectural language. 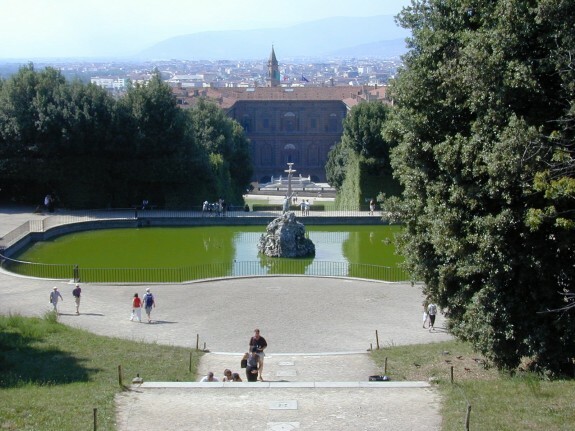 The Boboli Gardens is a famous garden in the city of Florence. Located in the south side of the Arno River, after the Pitti Palace which was built by the Pitti family; who were rivals of the Medici, the noble family who controlled Florence. – Another in zig-zag in which we can find several caves. It was opened to the public in 1766. Several statues of different styles and periods are distributed in the garden. The Piazza della Signoria is the central square of Florence. It is the seat of the civil power together with the “Palazzo Vecchio” and also it is the heart of the social city life. L-shaped, this square is located in the central medieval part of Florence in the south of the Cathedral of Santa Maria del Fiore or Duomo ;just a few meters away from the “Ponte Vecchio” and the Arno River. 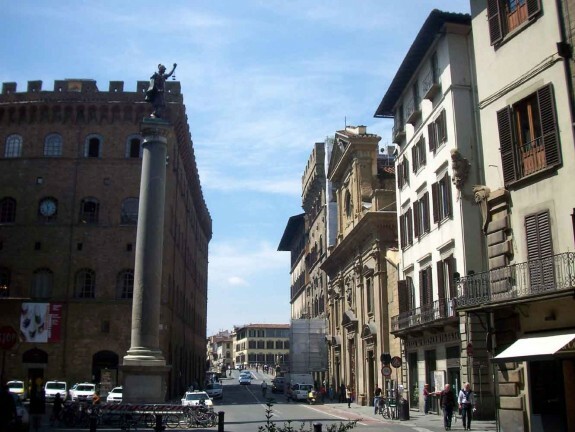 The via Tornabuoni is a street in the center of Florence which runs from the Piazza Antinori to Ponte Santa Trinita and it is well known for the presence of many important fashion stores. The street has international high fashion boutiques such as Gucci, Salvatore Ferragamo, Enrico Coveri, Roberto Cavalli and Emilio Pucci among others. 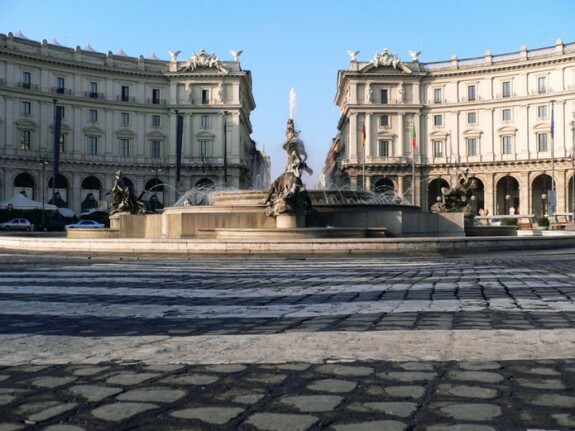 The Piazza della Repubblica is one of the most important squares of the city. 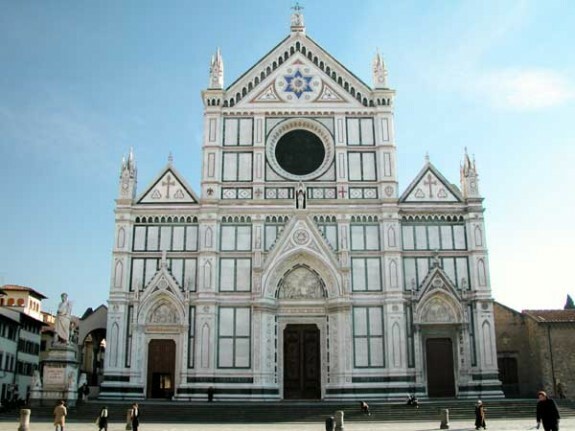 It was built on the old Jewish ghetto of Florence. Here can be found the historic literary cafe called Rosse Giubbe where poets such as Giovanni Papini, Giuseppe Prezzolini, Eugenio Montale, Mario Luzi or Filippo Tommaso Marinetti met to discuss about literature. In order to visit all the above places you will need a car and since there are cheaps cars in every corner in florence car hire.